JEWS HARASSED BY ARAB COPS FOR PRAYING ON TEMPLE MOUNT……. – The Tundra Tabloids……. JEWS HARASSED BY ARAB COPS FOR PRAYING ON TEMPLE MOUNT……. (IsraelNN.com) A Jewish bride and her father were arrested on the Temple Mount the day before her wedding, after an Arab policeman claimed he saw the father muttering prayers and the bride nodding her head. The father and daughter were being taken around the site on Wednesday morning by her brother Eli, a volunteer who conducts regular tours at the Temple Mount, when suddenly they were accosted by the Jerusalem policeman. “We were in the northern part, and I was showing them the archaeological evidence when suddenly a police officer came over to us, Mahmoud Hativ was his name, and he claimed that my father had muttered prayers. “We tried to argue with him and said it wasn’t true, but he said, ‘You can’t fool me,’ and insisted that my father had prayed,” Eli told Israel National News. “My sister was just standing there silently, not moving at all. She didn’t say a word. It was her first time at the Mount. Other cops came over, Mahmoud said that she had also been involved, and they decided to arrest them both,” he continued. “He let me go right away, because he couldn’t make any claim against me.” His sister and father were taken to the Kishla police station near the Jaffa Gate in the Old City of Jerusalem. 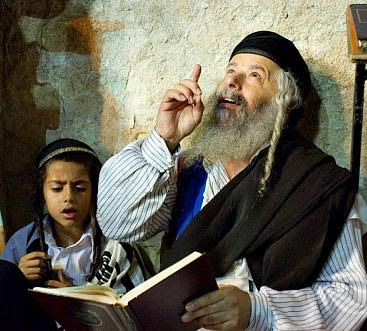 “The fact that a father comes to the holiest place of the Jewish people and can be arrested simply for allegedly moving his lips is an outrage,” Eli said. Previous Post Previous Post THE PLIGHT OF CHRISTIAN COPTIC GIRLS BEING KIDNAPPED AND FORCED TO CONVERT TO ISLAM AND MARRY MUSLIMS IN EGYPT……. Next Post Next Post GROUND BREAKER IN THE HOUSE OF SAUD: NIQAB ON TV WHENEVER THEY WANT IT…….